I love to collect kitchen towels. I walk into stores downtown and head straight to the kitchen towels. It's like we're magnets. I almost jumped with glee when spotting these fall kitchen towels today at Crate & Barrel. While customers slowly meandered furniture, I slowly meandered the kitchen towels. 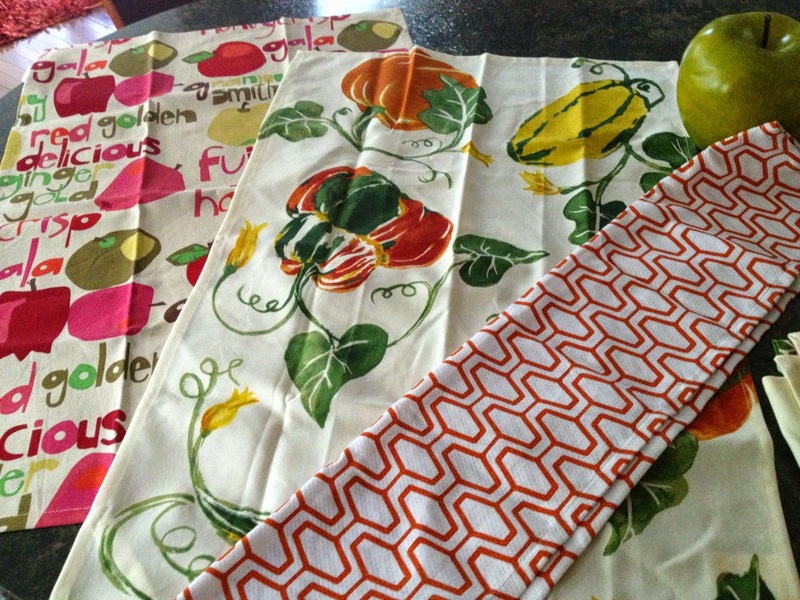 While it is important for my wardrobe to change during fall, it is certainly imperative that my kitchen towels change. Call it weird. I call it me. The towels add a zen to my kitchen where I spend a lot of time (trying to be a cook). The towels add a touch of zest as they show personality. The towels bring the season indoors, too. Moral of the Story: Real Life: I love kitchen towels.